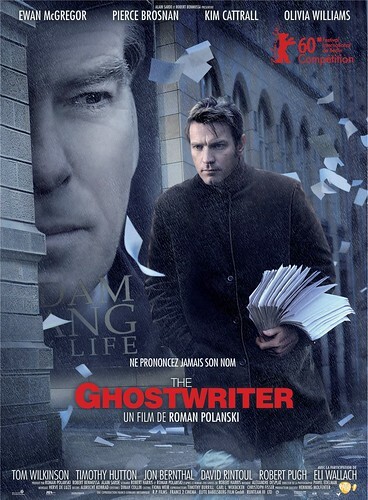 Roman Polanski’s critically acclaimed thriller The Ghost Writer is set to open this August 4 exclusively at the Glorietta 4 and Greenbelt 3 cinemas. Adapted from the Richard Harris’ novel The Ghost, the mystery thriller stars Ewan Ewan McGregor, Pierce Brosnan, Kim Cattrall and Olivia Williams. The film earned Polanski the Best Director prize at the 2010 Berlin Film Festival. The Ghost Writer revolves around a ghostwriter, known as the Ghost, who agrees to write the memoirs or a former British Prime Minister. Thinking that this is the opportunity of a lifetime, he takes it on but from the get-go, the project is beset by controversy. At the end, the Ghost discovers more than he bargained for. This seems to be one of those films up my alley 🙂 Will try to catch it and let you know how it goes! This entry was posted on Wednesday, July 28th, 2010 at 10:30 pm	and is filed under Entertainment, Up and Coming. You can follow any responses to this entry through the RSS 2.0 feed. You can leave a response, or trackback from your own site.